Saving for retirement is tough, especially if you don't know a lot about investing. It's often hard to find a financial advisor you can trust and who won't eat up all your earnings in fees. A new "robo-advice" entrant that claims to solve those dilemmas comes from TIAA, the 100-year-old non-profit that manages nearly $1 trillion, mostly for academics and employees of non-profit organizations. The automated platform offers clients access to active, passive, and "socially responsible" mutual funds and exchange traded funds. Each category includes five different risk levels, ranging from conserative to aggressive. Robo-clients will also be able to receive live financial advice from a call center that's manned by about 100 financial advisors, Andrade said. While older investors often prefer having a "real" financial advisor they can visit in person, many younger people prefer digital advice that they can access anytime, according to surveys. 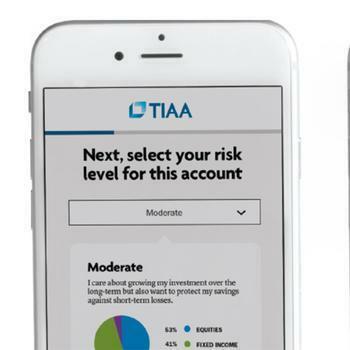 Women investors are thought to prefer investment plans that match their environmental, social, and governance beliefs, so TIAA is trying to hit both groups with its new offering. Investors must have a minimum of $5,000 to open an account. Annual advisory fees are 0.3 percent.